I'm just waiting for the 'Horse to get back to me and see what's what. The Iron Horse is on winter hours. You should have received an email from me. Someone will be in the office Monday after Thanksgiving. Our list of sponsors is growing. Please visit the site and check them out. You have people working hard on this rally already. We will be altering the site and adding pages as we figure it out. If you RSVP, you will receive periodic email updates. You have 10 months to get your XS1100 rally ready! Thanks to XS650.com for hosting the photo. I got confirmed reservations for Thursday to Monday at the Iron Horse. I submitted my reservation to the Iron Horse and RSVP'd on the XS Rally page! Now, I'll get back to sorting out the electrical in my bike. It's still a birds nest in there but getting better. 1979 Yamaha XS1100F - "Heart of SwampThing"
Great you got that done. It is looking like we will fill up the house this time exclusively Vintage Yamaha. Our Planning group is meeting in a week to work on new rally activities for 2018. Thanks for posting. RSVP received. You'll get email updates going forward. Let us know if you need any guidance. That Moto Gadget M Unit is looking good. Marty, that thing looks awesome. Is there a write-up anywhere on how to integrate that into our harness? I just bought a switched fuse panel off of eBay to wire in my accessories, but that m unit programmable box looks like it could replace almost all of it. Last edited by madmax-im; 12-22-2017 at 09:54 PM. Revival Cycles has at least four videos on these things. Dime City sells them as well. Dime City has signed on as one of our rally sponsors. Ben, you're always welcome to come hang out with us. 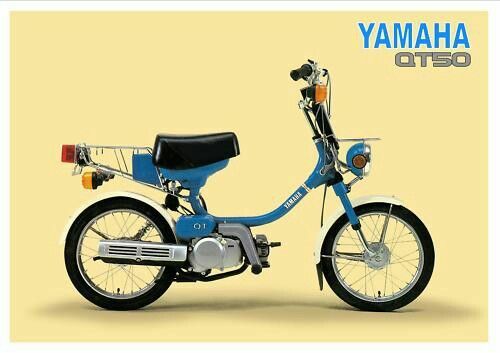 There's still time to come up with that vintage Yamaha admission. You could turn it into this. Yes, I'm yanking your chain. I'm also dead serious. If you have a 50cc Yamaha motorcycle/scooter that is 25 or more years old, this is your rally. Same as if you have a Venture Royale. Adrian..that sounds awesome..Kurt already knows Swampthing all too well. You do know I bought 2007 Suzuki Bandit 1250S? BTW I have that sissy bar back pad..goes with the bike..